This business center provides furnished offices, executive office suites, virtual offices, conference room rentals, meeting rooms, and offices with videoconferencing capabilities. They do this at a fraction of the conventional start-up costs of a business. Whether you’ve been in business for 20 years, or are just starting up, this rental office space and professional staff will give you an executive image. 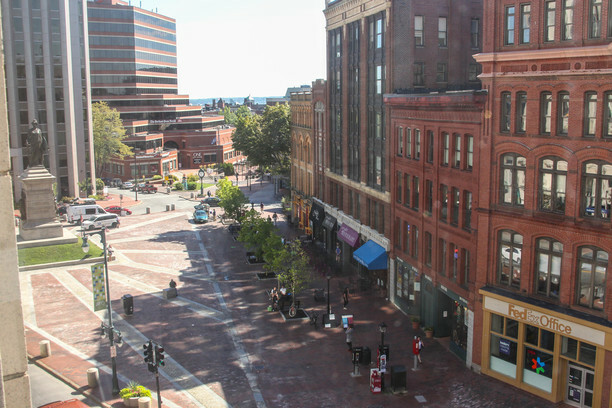 This location's beautifully furnished offices are located in the heart of downtown Portland, Maine and offer privacy and comfort (and great views!). Thes shared offices are at the premiere business address in Portland, Maine: The Time and Temperature Building. 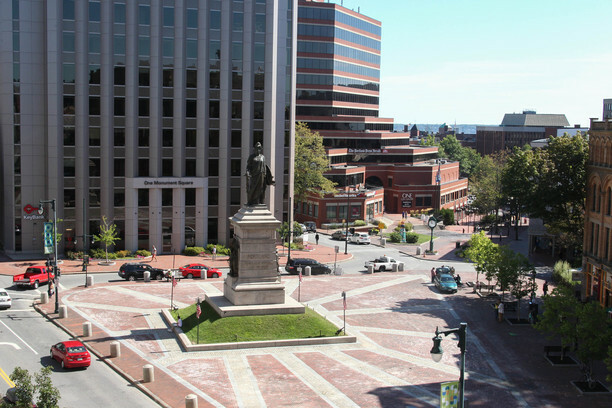 This historic building has a covered parking garage, delicatessen, hair salon, and a bank in the lobby. Call us on 866 292 3436 to see if this great space is the new home for your business.